The gas station in Watson, Louisiana where a winner picked up $3 million in Mega Millions secondary prizes just by ticking a small box on the ticket. While the main purpose of the Silver Lotto System is to get you a jackpot in your game, its real power is grabbing the numerous secondary prizes. This story illustrates how a simple $1 ticket checkbox tick multiplied a Mega Millions winning from $250,000 to $3 million. And why you need to consider these options when you next buy your tickets to increase your secondary prize amounts. What Happened: Lottery officials say six different $1 million dollar lottery prizes were won from tickets sold at a gas station in Watson, Louisiana. 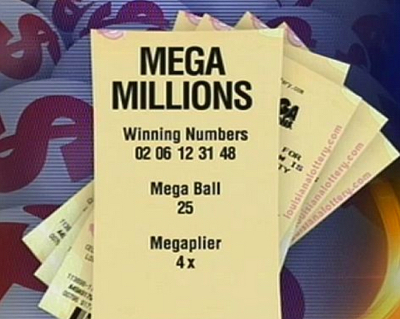 A 52-year-old man bought a Mega Millions ticket, filled in 3 Mega Ball numbers, then added a 'Multiplier' option. On the Tuesday night draw, the Mega Millions machine rolled out those same five numbers. The Denham Springs man won $250,000 – three times. But the big change came when the multiplier ball dropped into the chute, and his $750,000 quadrupled to $3 million. After state and federal taxes, the winner claimed a total of $2.1 million dollars as a cash prize, said Louisiana Lottery spokeswoman Kimberly Chopin (right). The owner of the Watson gas station will receive a bonus of $60,000. That's one percent of the prize, for selling the winning tickets. How It Worked: The winner played the same five numbers on each ticket: 2, 6, 12, 31, and 48. With each play, he chose a different Mega-Ball number, then filled in the 'Megaplier' box and paid the cashier six dollars. The result - he won $250,000 three times, but his $750,000 quadrupled to $3 million with the Megaplier. 1. The winner was not using our System, but when you use the Silver Lotto System to fill out your tickets in any game, the numbers you select are very unique and the chances of another player selecting the same numbers as yours are rare. 2. When you play Mega Millions, select the Megaplier feature to increase non-jackpot prizes by 2, 3, 4 or 5 times. It costs an additional $1 per play, and most some states in the USA will offer this feature. To find out if your state participates, visit the Mega Millions lottery website in the state in which you play. The Bonus: Apparently the winning ticket was mistakenly printed twice. According to workers at the store, that ticket sat behind the counter a couple of hours before another player walked in and agreed to buy it. That meant the $3 million ticket was won twice with the same numbers, but there are no details on whether that prize was picked up. The mystery ticket owner has yet to come forward to claim their prize and the news has got the whole town talking, with everyone re-checking their tickets just in case. Most states offer a Megaplier feature to increase non-jackpot prizes by 2, 3, 4 or 5 times; it costs an additional $1 per play. Before each Mega Millions drawing on Tuesday and Friday nights, the Megaplier is drawn. From a pool of 15 balls, five are marked with 2X, six with 3X, three with 4X and one with 5X.